tourist destination. 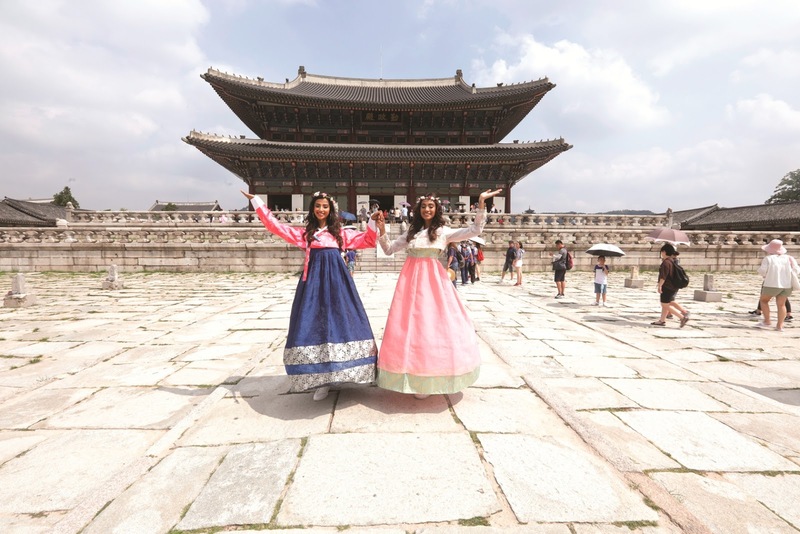 Korea Tourism Organization (KTO) and Cox & Kings Ltd jointly organised a trip for fbb Colors Femina Miss India World 2018 winner Ms. Anukreethy Vas and Miss Grand International 2018 first runner-up Ms. Meenakshi Chaudhary few months back. travel destination. Korea is one stop place for the travellers which can offer some of the most amazing experiences from food, shopping, night-life to diverse culture and traditions. The itinerary specially curated for the two beauties by Cox & Kings is now live for the travelers who wish to visit Korea. It includes some of the most heavenly places in the country- Seoul, Jeju and Gyeonggi. The itinerary is a perfect guide, showcasing the best of Korea for the people and travelers who want to explore different places and experience the beauty and adventures and explore new places. Speaking on the initiative, Mr. Karan Anand, Head – Relationships, Cox & Kings Ltd. said, “The campaign #18ReasonsToVisitSouthKorea is led by Miss India Diaries of South Korea. As part of our initiative with Korea Tourism Organization, we roped in Anukreethy Vas & Meenakshi Chaudhary to visit some of the most striking regions of South Korea and their experience has been truly delightful. to a large variety of tourist destinations including cultural heritage sites, theme parks, the demilitarized Zone, and nature conservation sites. won many awards which stand testimony to its excellence in service. Cox & Kings has been the recipient of various accolades both in India and internationally. It has been winning the prestigious World Travel Award in different categories since 2013. The title of Asia's Leading Luxury Tour Operator was retained for the 4th time in 2018. It won the title of India's Leading Tour Operator in the year 2013, 2015, 2016, 2017, 2018 and India's Leading Travel Agency for the 6th Consecutive time. In 2018, Cox & Kings bagged the title of ‘Best Outbound Tour Operator’ at the Zee Business Travel Awards. The India Travel Awards – West and its North edition announced Cox & Kings as a winner in the categories – Best Experiential Tour Operator and Best MICE Operator Domestic in 2018. It also emerged victorious in the Asia Pacific region at the prestigious PATA Gold Awards. Cox & Kings’ commitment to sustainability was celebrated at the Global Responsible Business Leadership Awards in Malaysia where it bagged the title of ‘Sustainable Travel and Tour Operator of 2018’.